Expanding internationally is the natural next step for businesses that have achieved local success. But how do you provide content to consumers in other languages? With a WordPress multi language website, you can translate your web pages into multiple languages with ease — and that’s where this guide comes in. Learn everything you need to know about WordPress language translation and start tapping into overseas markets. Creating a WordPress multi language website makes sense. When you look at the numbers, the web caters overwhelmingly — and disproportionately — to English speakers. English is ranked the third most popular spoken language in the world with 360 million native speakers. But it claims the top spot amongst the most commonly spoken languages online, with 873 million internet users. And then there’s the fact 53.3% of online content is written in English. The fact is, the number of English speakers pales in comparison to the number of Mandarin speakers (955 million) and Spanish speakers (405 million). Imagine opening a web page and seeing Chinese characters. If you don’t know Mandarin, you’d quickly leave the site, right? And you sure wouldn’t try to buy something. So it makes sense that 87% who can’t read English simply don’t buy from English-language websites. There’s a clear language divide online. But for astute business owners, this divide presents opportunities to sell products and services to people overseas who would otherwise ignore sites that aren’t available in their native language. Fortunately, quality WordPress language translation solutions, such as Weglot,can translate the words on your site into any language with ease. But before translating — or localizing your site, as we’ll explore below — it’s helpful to understand the benefits and challenges that come with creating and maintaining a WordPress multi language site. When you go online, isn’t it convenient being able to read your favorite sites in English? For much of the world, however, reading in your native language is a luxury. That’s not to say translating your site is a one-sided exercise that only benefits people who land on your site. Far from it. Along with outdoing your competition and strengthening your brand internationally, here are some very real benefits you can expect to achieve for your business. Theoretically, there are millions of consumers worldwide who have access to your website but are unable to read it. Making your WordPress multi language site available in popular languages, such as Mandarin, Spanish, Hindi, German, French and Russian, ensures that you are ready to attract a diverse array of people. There might even be people from other countries who are already trying to access your site. While your content might be delivered in English, the make-up of your audience could suggest that visitors might like to read in their native language. 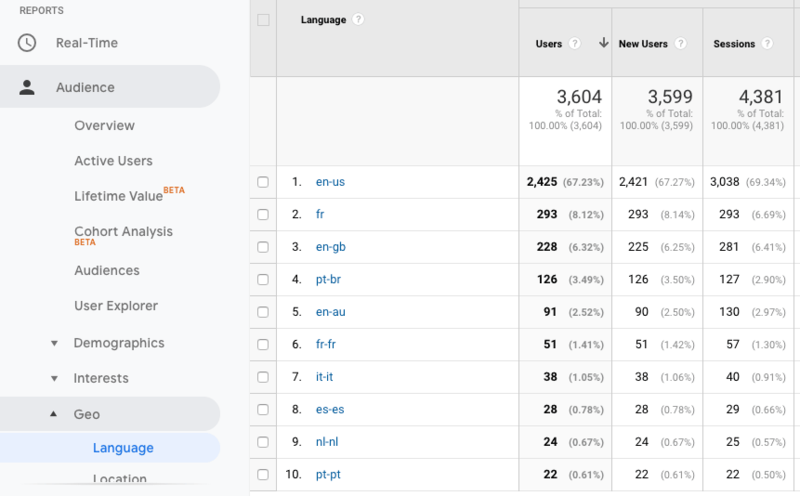 Your Google Analytics account can tell you the top 10 languages your visitors browse in. As you can see from the data below, the top three visitor languages to this particular site speak U.S. English, French, and British English. Translating your content ensures people who would otherwise not give your site a second glance will instead be able to enjoy your content, buy your products or services, and comfortably interact with your WordPress multi language site. It also opens the door to word-of-mouth advertising. For example, a person in Spain would be much more likely to share a product page or article if were in Spanish. For some markets, having an English-only website can quickly kill-off dreams of global expansion. According to Baidu, China’s largest search engine, English landing pages have an 85% drop-off rate. Chinese make up the world’s largest online population with 618 million users, representing just 46% of the country’s physical population. In 2017, these users spent USD$651 billion online — up from USD$301.9 billion in 2013. It’s also worth noting that Baidu has over 560 million regular users — the equivalent of all Google users in Europe and Asia combined, and precisely why companies like Apple are desperate to break into the Chinese market. This example demonstrates precisely why localization is crucial for scaling your business. While Chinese are large consumers of online content and are not wary of buying online, they — like English speakers — want a rich depth of content in their local language. With translated content, your WordPress multi language site will be much more likely to show up in Google, Bing, Yahoo, and even Baidu search results, helping to increase your online visibility. The competition for English language SERPs is fierce. But what about German, French or other languages? With a WordPress multi language site, together with multi language keywords and metadata, you can target a broader range of keywords, increasing your chances of being ranked in SERPs. Content marketer Neil Patel tested this when he translated his site into 82 languages. The result? A 47% increase in organic traffic in just three weeks. When you can provide translated content that gives overseas consumers what they need to feel confident about making a purchase on your WordPress multi language site, you’re not only securing their sale, but potentially others, too. Customer reviews and mentions of our business on social media in other languages offers huge opportunities for sales growth. Research shows 91% of people regularly or occasionally read online reviews, and 84% trust online reviews as much as a personal recommendation. And they make purchasing decisions quickly: 68% form an opinion after reading between one and six reviews. User-generated content, shared because customers are excited about your product and service, goes a long way to building trust and authenticity with international audiences. WordPress language differentiates brands that communicate effectively with global markets from companies that don’t — and remain inaccessible and invisible to international audiences. The Swiss-based trade body, the Localization Industry Standards Association (now replaced by the Industry Specification Group for Localization (ISG)) has reported that for every US$1 spent on localization, a business will make a return of $25. That’s right — a 2,500% return. This finding clearly illustrates the impact that WordPress language translation efforts can have on a business’s brand, customer relationships, and, ultimately, bottom line. Is there a market for my product/service in this country? Are there any cultural taboos my business may violate? Are there any government restrictions in place that may make it difficult for customers to access my WordPress multi language site? Are there any tariffs on the products/services my business offers or trade barriers that would rule out selling in this country? Once you know where you want to sell, there are other challenges to keep in mind. Choosing which languages to translate your content into might seem like a fairly straightforward task once you’ve determined the countries you want to sell to with your WordPress multi language site. But keep in mind that in many countries, people speak multiple languages. For examples, in the Philippines, the national language is Tagalog, but people also speak Spanish, English and local dialects. Singapore has four official languages, South Africa has a whopping 11 official languages, and China has seven major dialects and two separate, official written languages. WordPress language translation involves far more than simply switching words from one language to another. Words rarely have a one-to-one relationship and when you consider colloquialisms, idioms, and metaphors, translation quickly starts getting complicated. If you’re a foreign film fan, you know that keeping up with subtitles for movies from some countries is easier than others due to one linguistic truth: some written languages are more concise than others. Twitter highlighted this point when it started testing (and later launched) 280-character tweets. The social media company’s engineers noticed that people writing tweets in English were far more likely to hit the 140-character limit than people writing in languages using Chinese characters. This is because in languages like Japanese, Korean, and Chinese, you can convey about double the amount of information in one character as you can in languages, like English, Spanish, Portuguese, or French. Localization will certainly impact the layout of your WordPress multi language site design. Some languages, like Japanese or Mandarin, use one or two characters where English needs a full sentence. Other languages, such as German and Hindi, will need more space on the page than English. There are two primary types of translation: machine translation and human translation. Translation solutions typically offer one or both of these WordPress language translation types, in the case of Weglot, with some also offering human editing and/or revision. Machine translation. This type of translation relies on online translation services or translation packs to convert words on your WordPress multi language site into other languages. Google Translate is probably the most popular example of machine translation. There’s no human input or editing, so while this type of translation is usually fast and free, it can be prone to outputting errors. However, big players such as Microsoft and Google have been investing huge resources into state of the art Neural Machine Translation algorithms in recent years. By leveraging AI, today machine translations can yield good results. Human translation. This is translation provided by a quality, experienced and professionally-trained translator. Human translation is accurate and more natural sounding as translators are able to interpret the nuances of language better than a machine can. In addition to these types, many WordPress language translation solutions also allow you to translate and/or correct translations yourself using some kind of built-in editor. Price. What is your budget? Do you want a free solution or are you willing to pay a monthly fee for high quality translations? Quality. How important is quality and accuracy? 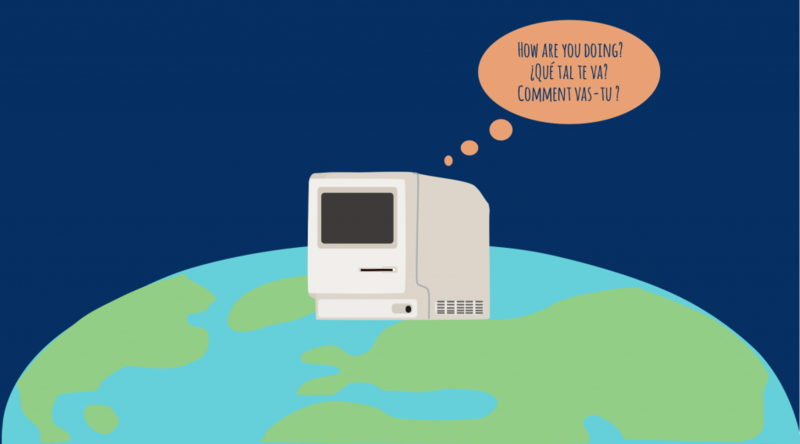 Will machine translations suffice, or does your business need professional human translations? Clarity. Does your business sell products or services where there’s no room for confusion and clarity is non-negotiable? For instance, does your business deal in law, medicine, or finance? There are many translation tools available for WordPress, but the leading solution in terms of price, quality, clarity, and ease of use is Weglot. Weglot has quickly gained in popularity in recent years because it just works. If you’ve tried other WordPress language translation plugins, you know how much of a headache it can be setting up a WordPress multi language site. With Weglot, you can say goodbye to technical issues. Weglot integrates seamlessly with any WordPress site, automatically detecting and translating your written content, and adapting to your plugins and themes. More than 100 languages are supported, which — impressively — you can manually edit in context on the front-end of your site using Weglot’s intuitive visual editor. And if you’re not a polyglot, you can order professional WordPress language translations right from the Weglot dashboard. What’s more, Weglot follows Google best practices in terms of multilingual SEO, so you can trust that your translated pages will be properly indexed. And with the built-in team functionality, you can add new members to your account for easy collaboration. If all that’s not enough to convince you of the high quality of Weglot’s translation service, it counts Microsoft, Sennheiser, and La Poste amongst its customers. Ready to get started using Weglot to create a WordPress multi language site? Let’s look at how to set it up — all in under 5 minutes. 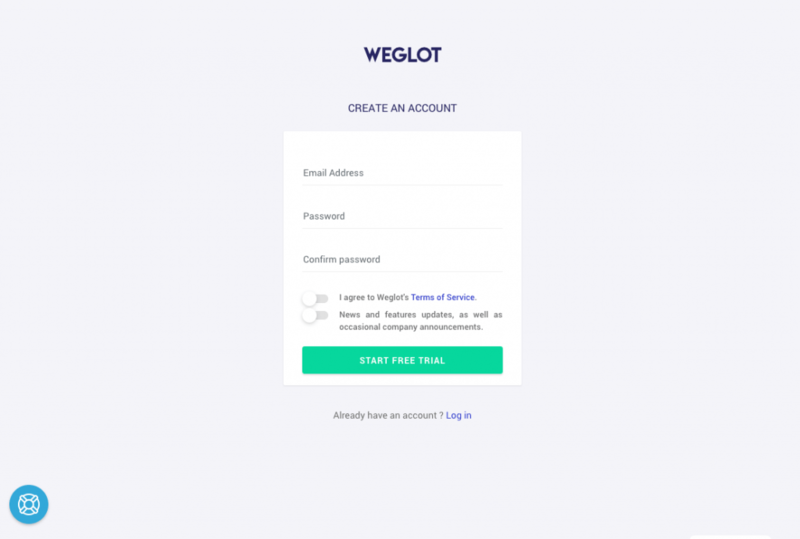 To get started, sign up for a Weglot account. Head over to the homepage and start your 10-day free trial. On the registration page, enter your email, create a password, agree to Weglot’s terms of service, opt-in to their newsletter, if you like, and start your free trial. You’ll need to confirm your email address before you can get started, so check your inbox. Confirming your email will take you back to the Weglot site, where you’ll see your API key. You’ll also be asked to select the CMS you’re using. Choose “WordPress” from the drop-down and click the green button to continue. Install and activate the Weglot Translate plugin on your WordPress site. You can download it for free from the WordPress.org plugin repository. Next, select the Weglot menu item in the admin sidebar. 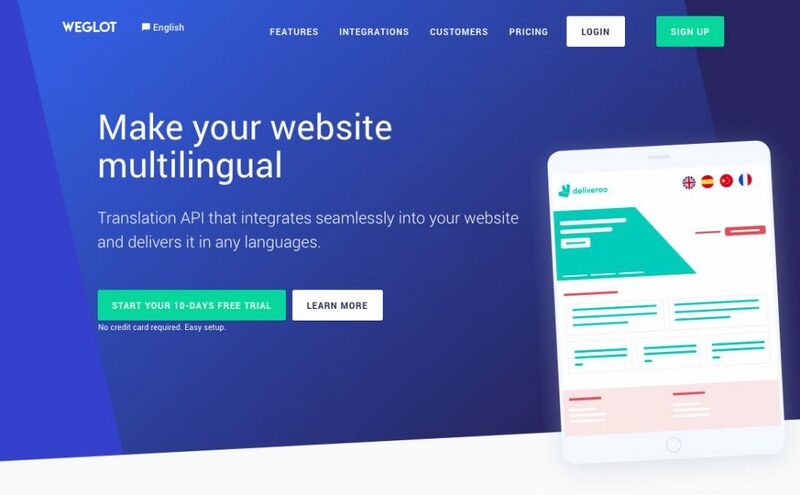 Enter your API key, choose your original language, and enter the language or languages you want to translate your site into. Lastly, save your changes and open your website. You should now see a translation button in the bottom-right of your site. Go ahead and switch the language for your site! You should see the words on your site instantly update to display in your chosen language. Impressive, right? 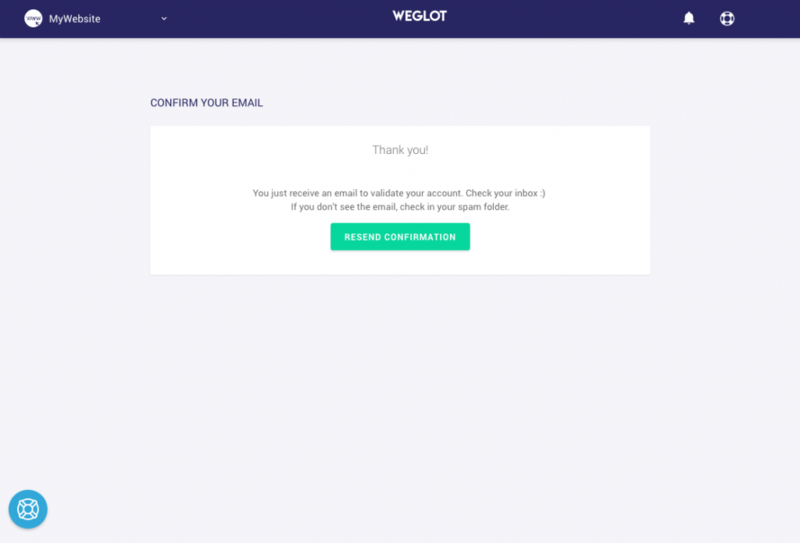 In less than 5 minutes, I’ve signed up for a Weglot account and have another language working seamlessly on my website. You can choose whether you want to display a drop-down menu or use buttons, display different flag designs, display names and flags, or just names. You can also enter CSS to style how your language switcher looks. By default, the language switcher button will be displayed in the bottom-right of your web pages. But you can choose to insert it in a menu, as a widget, with a shortcode, and/or in your site’s source code. By default, every page on your site will be translated. With exclusions, you can choose to exclude parts of a page or full pages. Allow users to search your site in their chosen language. Only allow admins to see WordPress language translations. Weglot offers a first “automatic translation” layer to help you avoid starting from scratch. It also enables you to then manually edit whatever you need. To begin editing your translations, click the “Edit my translations” button in the Weglot screen in the WordPress admin. Alternatively, login to your Weglot account and go to your Translation List. 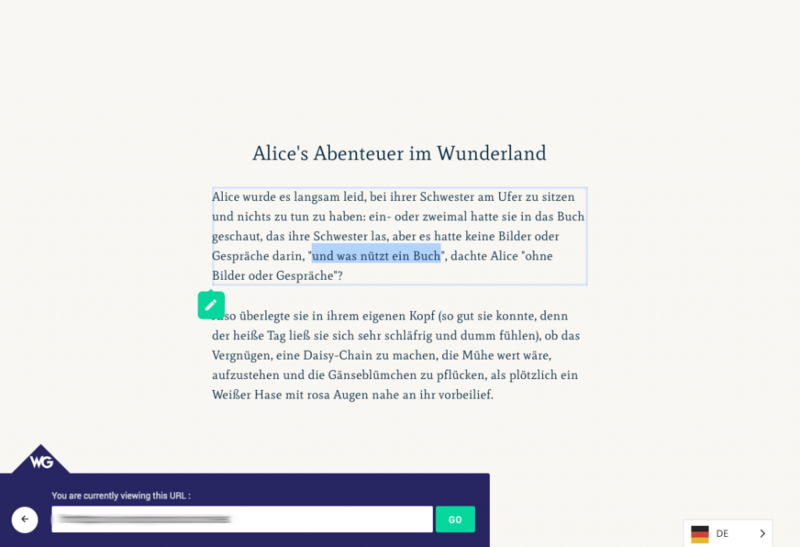 From here, you can edit individual words and phrases for your WordPress multi language site. Weglot’s impressive Visual Editor lets you edit and modify translations directly within the context of your WordPress multi language site. Say, for example, you find a machine translation that hasn’t quite picked up on the nuances of a piece of text. You can manually replace the WordPress language translations with words you have translated yourself or have had professionally translated. Does your business have a tagline that doesn’t translate well into other languages? You can avoid the Parker Pens mistake I mentioned earlier by setting specific rules to apply to certain words and sentences, ensuring they’re never translated. You can also set rules to “always translate,” to search and replace certain words and phrases across your WordPress site. 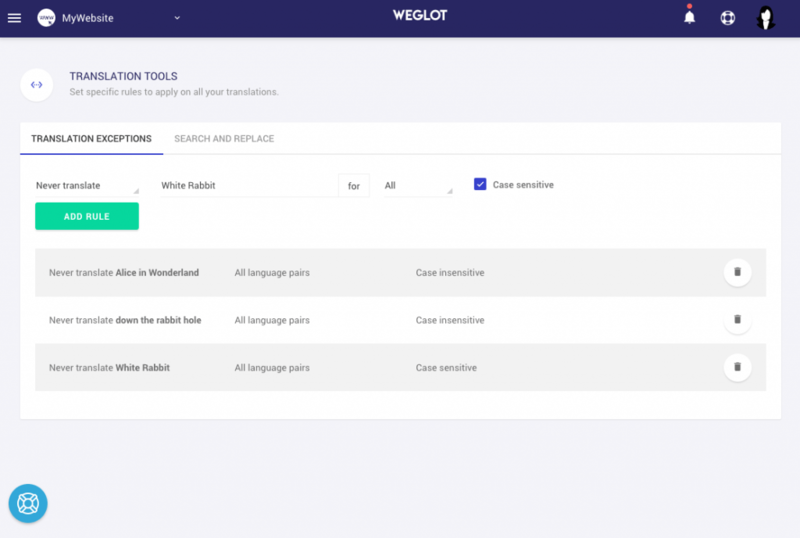 When you first set up Weglot on your site, automatic translations are provided by the best machine learning providers in the world — Microsoft, DeepL, Google and Yandex, depending on the language. When you’re ready to take the quality of your translations to the next level, just order WordPress language translations from vetted professional agencies directly from your Weglot account. High quality. Order quality translations with a human translator. A native translator will start translating your order right away. Flexible and affordable. A la carte pricing from €0.08 per word, depending on the language. Fast and easy integration. 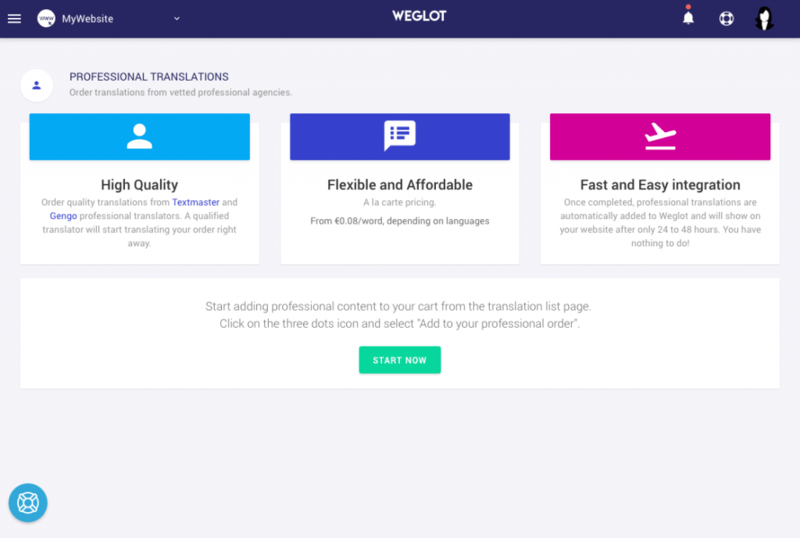 Professional translations will be automatically added to your Weglot account and displayed on your site with 24-48 hours. The International Chemistry Olympiad (IChO) is an academic competition for high school students, hosted in a different country each year. Paris is hosting the 2019 event, with 300 students expected to descend on the French city for their 51st annual competition. 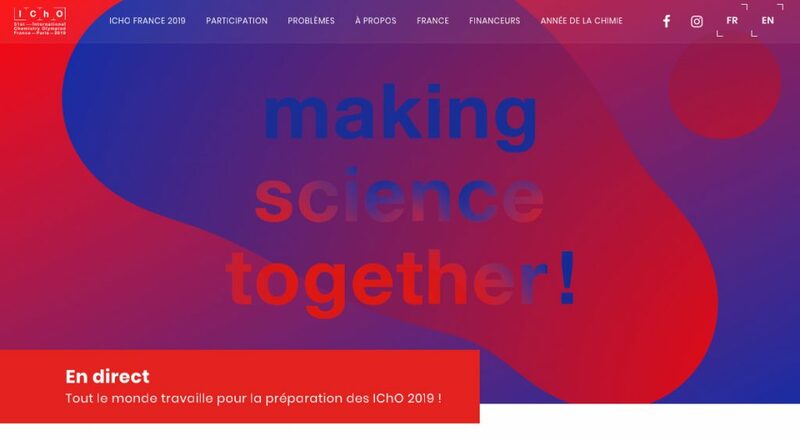 With students from 76 countries attending, organisers needed to ensure that participating schools could access and understand the IChO website. That’s why creating a multi language WordPress site would be essential in reaching IChO’s global audience. Baltazare, the agency tasked with designing the new website, ensured the French language site could be quickly translated into English using Weglot. The site features prominent language switcher buttons in the top-right of each page, which have been styled to match the site’s design. Baltazare then set about translating key generic terms, before IChO managed the translation of other content from directly within the Weglot plugin. Not only was this a simple handover from agency to client, but the structure and features provided within Weglot made other tasks, such as SEO localization, a doddle. 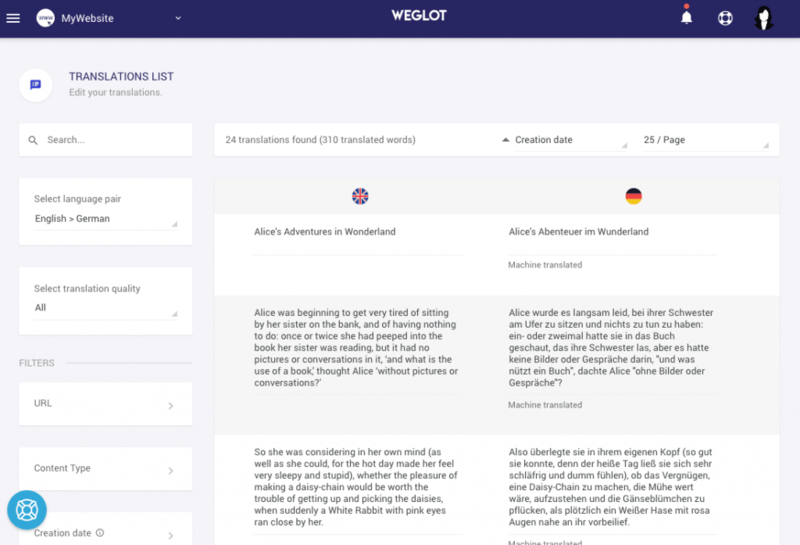 Weglot automatically translated and referenced pages, so the website was already well-referenced on Google, in both English and French, from the outset. Making a dedicated investment in WordPress multi language content that speaks to your intended audience in their native language can help your business win new market share. But it involves a great deal more than simply changing text word-for-word. Ensuring your content aligns with your target market’s cultural norms means also localizing your WordPress multi language site. The process of translation can be easily achieved with WordPress multi language solutions like Weglot, which supports full cultural optimization with features that enable you to change images and video text to your desired language. Localization, also referred to as L10N, involves adapting your product or service to the specific languages or cultures you want to sell to so that it seems natural to that particular region. This includes WordPress language translation, but goes much further, also taking into account language, culture, customs, technical and other characteristics of the target locale. You can use Weglot to make direct translations of your website copy, but you can also go further: making sure your copy is optimized for each country. Weglot can even serve different images and videos to different locations, so you can optimize these too. While localization frequently involves changes to the software writing system (e.g. right-to-left languages), it may also change the keyboard usage, imagery, fonts, colors, date, time and monetary formats. Understanding these differences is crucial to the success of your WordPress multi language site. If you or your staff don’t speak the same language as your customers in a particular country, communication is going to be a challenge. WordPress multi language translation, while excellent in changing the written content of your WordPress multi language site, can only get you so far. So it’s advisable that you hire at last one person on your team who speaks the local language. Different countries work in different ways, and at different times. While your business might work 9am-5pm, Monday to Friday, the typical Spanish working day tends to be from around 8.30am or 9am to around 1.30 pm, and then from 4.30pm or 5pm to around 8pm. Stopping for a siestas, whilst declining in the larger cities, is still a major part of the working day in Spain. This is a great example of how you can use Weglot to ensure you have the most appropriate copy for each country, and go beyond direct translations. When doing business in other countries, “When in Rome” takes on a whole new meaning. While you intrinsically understand the business etiquette of your own country, it’s a good idea to do your research before doing business elsewhere. For example, Germans are direct — they tend to say what they mean and mean what they say. Whereas in Japan, it is customary to respond with, “yes” even if you disagree with what is being said. You might, for example, use Weglot to swap out a sales video based on this information. This is as easy as translating any of your website text. You can’t simply copy and paste your marketing campaigns from one country to the next, since every region has its own culture-specific behaviors. This is why you need to research deeply when entering a new market, and even localize any taglines or slogans you use to account for local slang and customs. But it’s not just about your messaging — you also need to consider how you deliver your marketing. While Americans might use Facebook to target users, this kind of marketing would fail in China where Facebook is banned and citizens use WeChat and Weibo. The future of the web is undeniably multi language. Fortunately, WordPress multi language solutions such as Weglot making reaching global audiences easier and faster than ever before. My advice? Get a head start on your competitors and claim your slice of online real estate across multiple WordPress languages now before the foreign language web starts to get as crowded as the English language market. 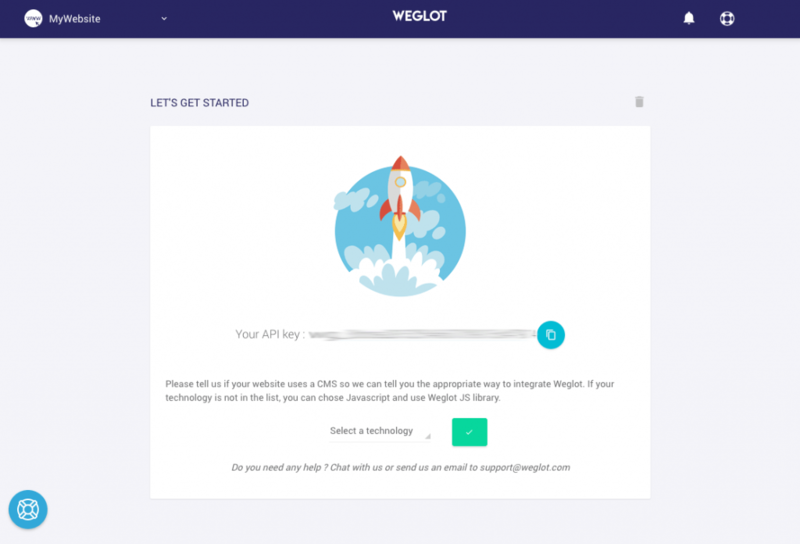 With Weglot, you can translate your site in as little as 5 minutes and increase your online visibility, scale your business, reach new markets and achieve the high ROI that comes with investing in WordPress language translation. Start your free trial now!